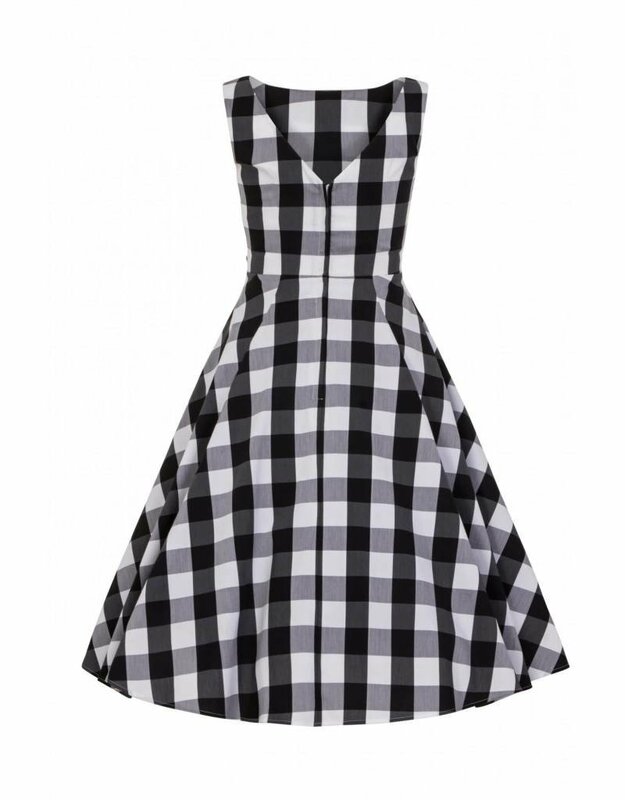 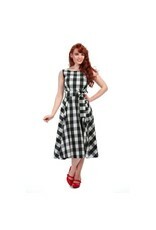 The Frances Gingham Swing Dress is a delightful vintage inspired full flared piece in large black and white gingham print. 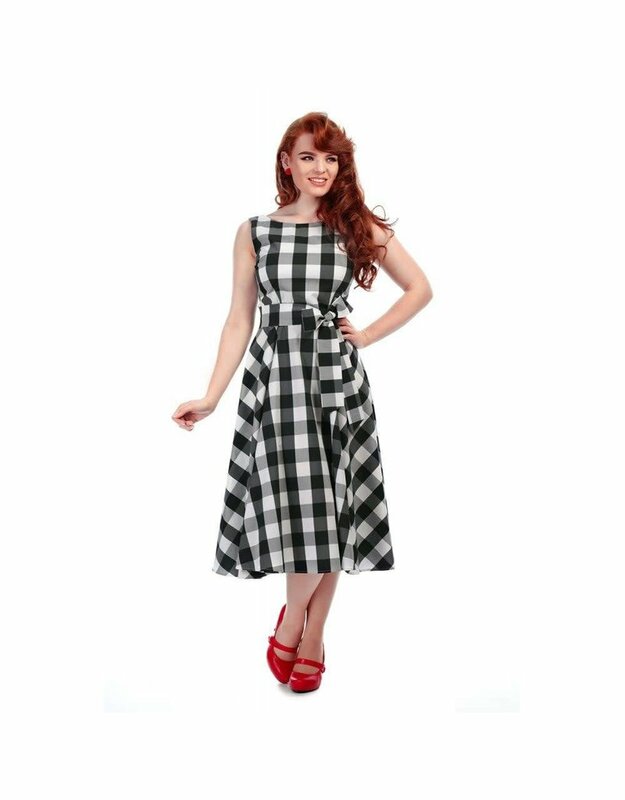 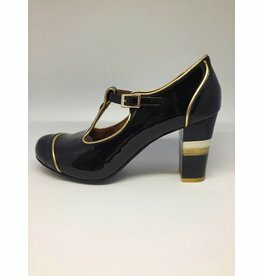 She's a sleeveless delights that features a boat neckline and has wonderful built in sash extending from her side-seams, accentuating the waistline where a gorgeous bow can be tied either at the front or back, depending on your mood. 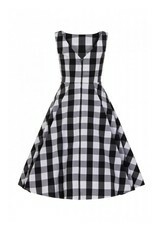 Fabric: 65% Cotton, 32% Nylon, 3% Spandex.